It used to be complicated and expensive to test your water. Now it is neither. The WaterSafe All-In-One Test Kit is a quick, convenient, and affordable way to check the water you use for drinking, cooking, brushing your teeth, and everything else in your home. 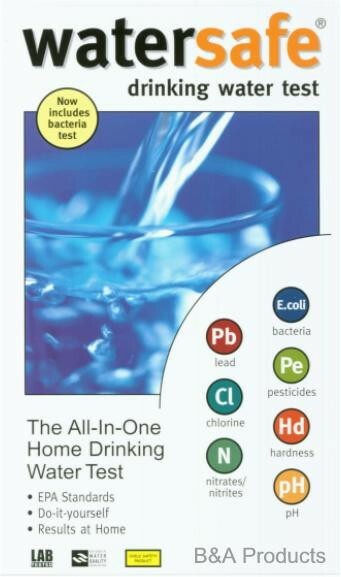 One kit test for bacteria, lead, pesticides, nitrates, nitrites, chlorine, pH, and hardness -- water quality issues that are important for everyone to know. Many types of potentially lethal bacteria, including E.coli, can be found in drinking water. 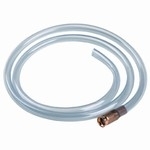 Lead is a highly toxic substance that can leach into water from pipes and fixtures or natural sources. Millions of pounds of pesticides and nitrates are released into the environment each year. If these pollutants are in your water, it may be a health hazard. And if there are children in the household, the risks become even more serious. You cannot see, smell or taste most contaminates, but if they are in your water, the potential dangers to your health are staggering. Take this simple test. You owe it to yourself to find out if the water you drink is safe. The WaterSafe test kit contains everything you need to find out simple and accurately if your water contains unsafe or undesirable levels of 8 common contaminants. 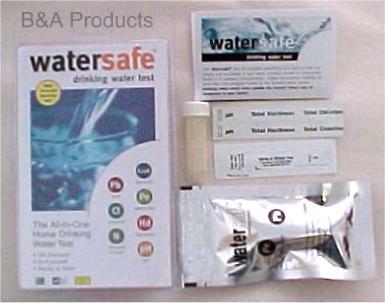 The Water Safe Test Kit is a quick, convienent and affordable way to check the water you use for drinking , cooking, and everything else in your home. This all- in-one kit is simple to use and gives you accurate results at home. One kit test for bacteria ( including E,coli), lead, pesticides, nitrates, nitrites, chlorine, pH, and hardness, all to EPA standards for test sensitivity. 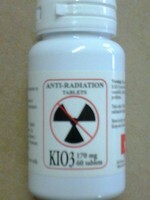 Testing instructions are included which also indicate safe levels of contaminants. A 1-800 number to call for consultation if your water tests outside the safe limits.